Let's take a closer look at this much-hyped private web browser. Brave was first launched in early 2016 and almost immediately began to generate press, controversy, and a growing following. 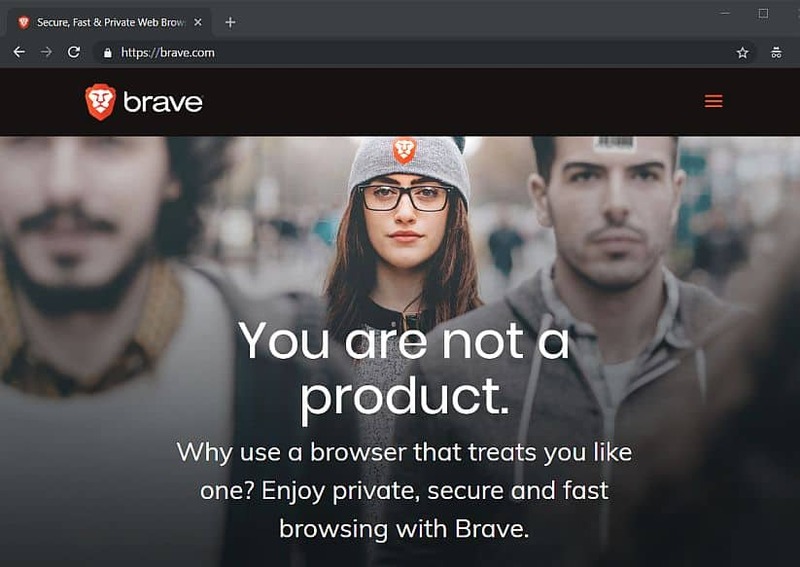 But what is Brave browser? We’ve summed up Brave’s features in a quick and easy list of pros and cons. Should You Switch to Brave Browser? One of our favorite things about Brave is its native privacy protection. The browser uses HTTPS secure connections wherever possible, doesn’t collect or sell your data, and automatically blocks ad trackers. And Brave has now introduced private browsing tabs powered by the Tor network. Brave also has integrated ad blocking. Though most browsers have extensions to do this, it’s a core feature of Brave. Though they do have some interesting plans for replacing ads, as we’ll get to below. The combination of ad and ad tracker blocking allows Brave to deliver impressive speeds and use less data resources. Tests show Brave loads pages roughly twice as fast as Chrome and Firefox on PC/Mac, and a whopping 8x times as fast on mobile, compared to Chrome and Safari. Brave’s desktop software is built on Chromium, the backbone that’s also used for Chrome. The important thing here is that Brave is open source, which is better for privacy and security. Many sites rely on ads for income and to keep their site running. So, Brave has implemented a payment system which allows you to pay the sites you like or visit most with mostly-anonymous cryptocurrency transactions based on a monthly budget set by you. They’re also experimenting with a system that would include non-targeted ads and reward you for watching them, which you could then pay out to your favorite sites. Here’s where Brave could use some improvement. Probably the biggest downside to Brave is its current lack of extensions, add-ons, and plug-ins. While browsers like Firefox, Chrome, Opera, etc. seem to have extensions for almost everything under the sun, Brave’s library is basically limited to password managers, like Dashlane and LastPass, and a handful of other extensions. Brave is still a work in progress, with features like ad replacement and the Tor private browsing tabs still in “beta” (which means they’re not finished). There have been occasions where we had trouble using Brave for a site that worked fine in, say, Firefox. But this tends to happen with all browsers, from time to time. Now that you know what Brave browser is all about, the question is, should you ditch Chrome, Firefox, etc. and switch to Brave? In short, if you’re the kind of person who doesn’t like messing with a lot of extensions and settings, but you still want a browser that provides fast speeds, blocks ads, and gives better built-in privacy, Brave is a great option. However, tech-savvy users can replicate much of Brave’s privacy and ad-blocking features using Firefox extensions, and from there, Firefox is currently a more fully-realized browser with a huge library of add-ons, themes, and other features. And the full Tor browser is more private than Brave’s Tor functionality. And for maximum privacy in any browser, you’ll need to use a good VPN service. Have you used Brave? What did you think? Let us know in the comments!